Like clothes or shoes, how you style your tresses can send a message about your sense of style, social class, religious beliefs, your conformity, or nonconformity, and eventually your age. To say that hair plays an even more central role in the lives of women of colour is far from an understatement. 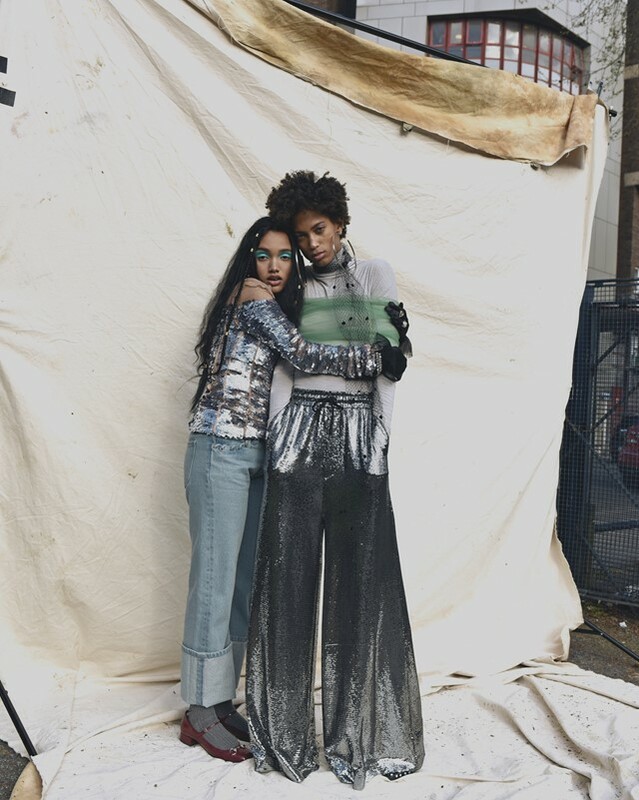 For women of colour, hair is more than an aesthetic, it’s heavily politicised. 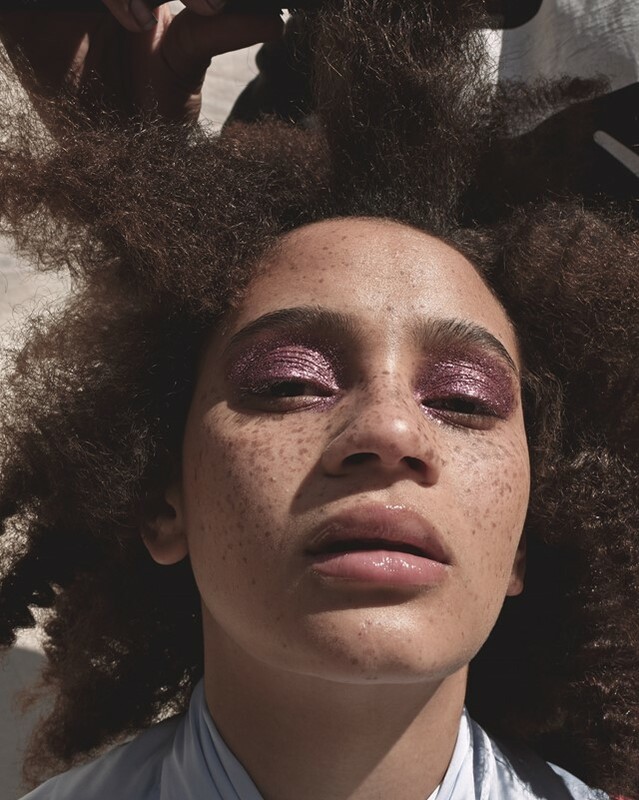 Straightening it is seen by some as conforming to a beauty standard that is oppressively white, while retaining your natural hair texture can be a symbol of defiance, of black pride and power, as well as unkempt. The issue is so often debated it led to Beyoncé’s proud affirmation on “Formation” that she likes her “baby heir with baby hair and afros”, as a courageous response to a petition for her to comb her daughter’s hair. But here, Ijewere is careful to not condemn ‘the creamy crack’ – a term for chemical relaxers, so-called because once used black women experience a cycle of damage and money spending in order to attain a style that needs constant maintenance. Rather, she wants to capture black hair in all of its diverse glory. “I just want to get rid of the idea that it (natural hair) is unprofessional. If you Google ‘professional hair’, you get white women with long straight hair, but if you put in ‘unprofessional’ you see afro hair. It's important to tackle this sort of stigma,” she explains. When it comes to her own hair, Ijewere says she is “really chilled”. “I cut my relaxed hair and I use extensions now. Rocking both is amazing. Black girls are versatile because they have access to so many styles.” But her attitude towards processed hair is a stark contrast to the beliefs she holds about the natural hair trend; she is wary that it won’t stick. “It’s weird to me, it feels like a fad,” she laughs. “The last two years there’s been a sudden boom in the natural hair look. I don’t know where it has come from. An understandable concern considering the often short-lived life spans of trends. According to Sleek Hair Extensions, a hair care brand that supplies hair extensions to afro hair shops, the trend for natural hair has slowed the industry down somewhat. But, the UK has about two million black women and roughly 500,000 to 1 million use hair extensions. On average, these women change their human hair extensions every two to five months which costs anywhere from £20 – £250, plus £50 – £70 for a salon stylist to apply. Kathy Xu, the brand’s managing director, says that even though human hair sales are falling, the ‘natural’ hair trend is still present in the hair extension business, as people now go out to buy afro style hair and small natural looking curls to attain this new ideal. 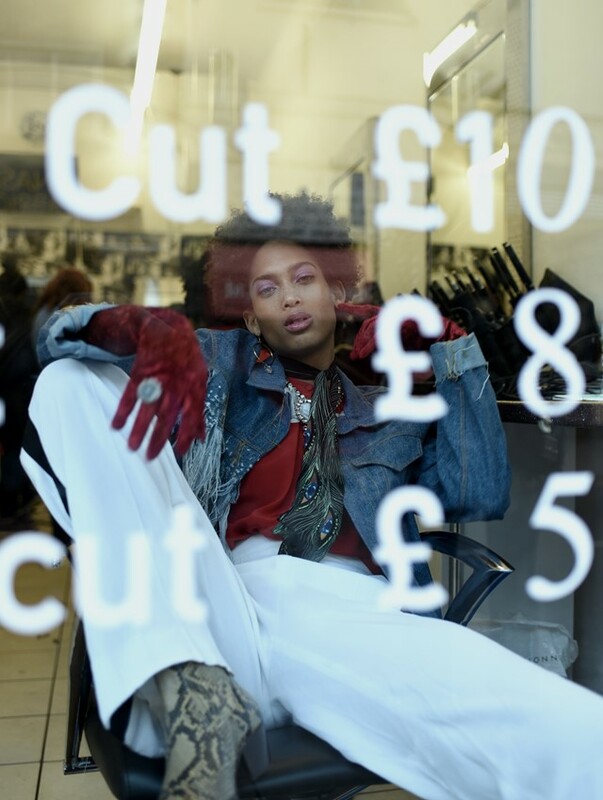 With 70 per cent of these women going to the salon to install their hair extensions, salons are undoubtedly at the centre of WoC’s hair routines. Rita Balogun of Radiant Salon, London, says that owning a salon that caters to the needs of these women is important because “we need a space, a community and a place where our hair is understood”. And due to her clients coming in for four to six hours at a time, it “definitely” feels like a community. “It’s a place where women let their hair down, literally. If a woman is having man issues, job issues, they will more than likely discuss it with their stylist.” Balogun adds that she believes the trend has resulted because women are more aware of their choices and are no longer shy about embracing their natural hair. But the more you scratch below the surface you get a sense of how long, costly and integral her hair process is. Once she takes her weave out, washes her hair, books an appointment for a chemical relaxer, buys hair from the local black hair shop, then re-weaves her hair (hiding her newly relaxed hair underneath), Alfa has spent hours, and almost £350. A self-confessed “disgustingly” higher amount than she’d realised. She is knowledgeable and philosophical (“Hair was used as a tool to destroy the black woman during the slave trade and if you do not have ‘good’ hair, you are not perceived as beautiful.”), but doesn’t immediately recognise her own hang ups in the process, and admits she would never be seen outside without her weave. It’s these juxtaposing opinions – from shopkeepers, fellow photographers or beauty consumers – that Ijewere wants to tackle with this series. The idea natural afro hair cannot be styled or that it isn’t beautiful is something she calls her “biggest hang up”, and the complexity of opinions, like Alfa’s, are typical of the debate surrounding hair in the community and the internal debate a lot of women have with themselves. Becuase regardless of whether it is a fad or a trend, or here to stay, accepting an individual woman’s right to choose is the most important, yet overlooked, factor in this conversation.